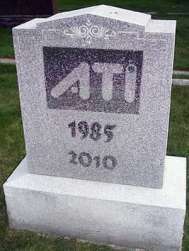 ATI, the Canadian graphics-chip company born back in 1985, is dead. After being acquired by AMD in 2006, and spending the intervening four years locked in the Californian chip-maker’s cellar, forced to try on dresses that “make it look purty”, the deed has finally been done: the ATI name has been erased from all products. The acquisition brought one of the Big Two GPU-makers (the other is NVIDIA) into the AMD’s CPU business, but ATI managed to keep its name on its inventions until today. 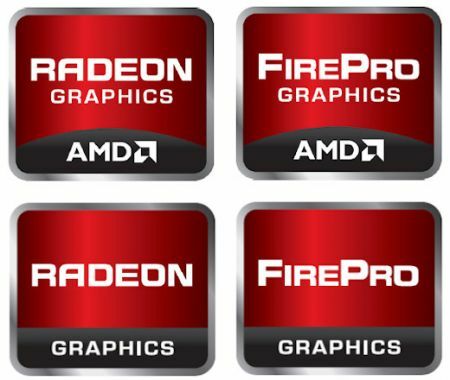 From now on, there will still be Radeon and FirePro cards, but they’ll be called AMD Radeon and AMD FirePro. Why? AMD is moving firmly into combined CPU-GPU systems, which put everything together for energy and space savings. Think of the Intel GMA 950 which was used in MacBooks and Mac Minis, along with PC hardware. These “integrated graphics” systems share the main RAM with the CPU, further saving money but also offering lesser performance. AMD decided that these combined systems would be too confusing with all the different branding, and dropped ATI like the hot girl drops the dork with a car after they arrive together at the school prom. 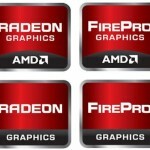 Best of all, AMD has redesigned the stickers for its chips, and there are actually two sets. One drops all mention of even the AMD name, replacing it with the word “graphics” so when its discrete graphics cards ship in Intel boxes, the names won’t clash. So goes the complex corporate maze that lies behind those ugly stickers found on all PC.